Let’s talk about motorization! 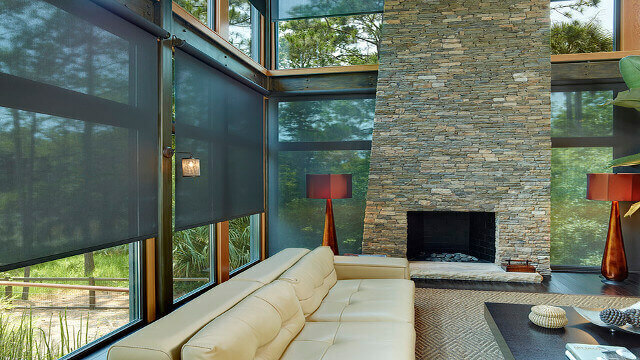 One of the most exciting advancements in the world of window treatments is motorization! There are not many opportunities to add technology to window shades, but in this case, we can. And it is exciting! As technology continues to expand and improve, the capabilities for window treatment motorization have grown as well. There are now more opportunities to incorporate the technology of motorized window shades than ever before. And the variety of programs and systems available has grown and continues to grow each year. All of this has made motorized window treatments increase in popularity. In this article we are going to talk about some of the most common misconceptions when it comes to motorized window treatments and discuss why they may not be entirely accurate anymore. When motorized window shades were first available, the options of styles was rather limited. As this technology has continued to grow and improve, so has the range of styles that can be motorized. Motorization is available in almost every style of window treatments including cellular shades, Roman shades, roller shades, and now even draperies. These window treatments come in a vast variety of colors, fabrics, textures, opacities, and more. The combinations of styles and fabrics are practically endless. A Gotcha Covered design expert can help determine the right window treatment option to fit your needs. The great thing about working with Gotcha Covered is that we work with a wide variety of vendors. Since we have wonderful working relationships with several companies that offer motorized window coverings, you have a much larger inventory to choose from. Your Gotcha Covered design expert will help you narrow down the options of motorized window treatments that are available from the extensive selection and find the exact treatment to fit your style and budget. When motorized window treatments were first available, they had to be hardwired into your home in order to work with the electrical system. This made motorization an option for homes that were being built and customized by the homeowner, but not something that was an easy addition to older homes. Hardwiring into an existing home can be an elaborate and invasive procedure, but now there are multiple options available to bring motorization into the home that do not require a total remodel. With the Gotcha Covered Connected Home Solutions the need to hardwire anything is eliminated. With the Gotcha Covered “plug and play” technology, our certified installers can install your window treatments, plug in the necessary adaptors, help you download the app to your smartphone or tablet and have you controlling your motorized window shades from almost anywhere in no time. Technology has made huge advancements in terms of battery operated devices. The downside of battery operated systems use to be how often the batteries needed to be replaced. But now, depending on the amount of use, the original set of batteries can keep your devices running for anywhere from 3 to 5 years before needing to be replaced. In addition to traditional batteries, the motors on some motorized window treatments are rechargeable as well. Instead of replacing the batteries, a power cord can be connected to the motor within the unit and charged right where it is. This is an exciting new option that takes away the hassle and cost of replacing old batteries. In addition to these great technological advancements in motorization, there are also a number of benefits that motorized window shades can bring to your home. These benefits will not only add value to your home, but will also help protect your home and belongings. Here are four of the biggest benefits that come from having motorized window treatments installed in your home. Motorized window shades are typically cordless, so the normal wear and tear that comes from raising and lowering your shades is eliminated. This will actually extend the lifespan of your window treatments helping them last longer. Another benefit of having motorized window treatments is that it actually makes your home safer for children and pets. 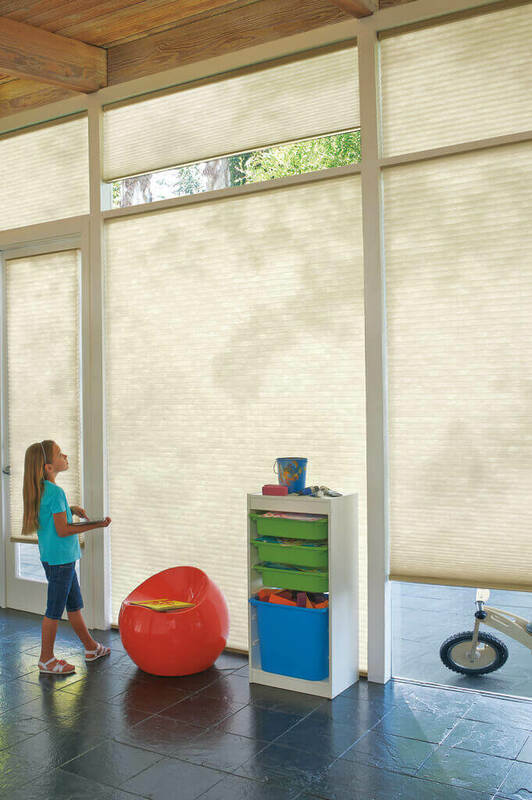 Cordless window treatments are the gold standard when it comes to child safety. Gotcha Covered prides itself in being a leader in the industry when it comes to window cord safety awareness. We have more information available through our website and we will continue to present news and updates as it pertains to window cord safety. Motorized window treatments will also extend the lifespan of your furnishings, photos, artwork, and other valuables. Since the connected home system allows for programmable times and schedules, you can be sure that your window coverings are always in the right position to block harmful UV rays and limit light exposure whether you are home or not. Sun sensors can be used as well to determine whether your shades should be open or closed depending on the season and the weather. Since motorized window shades can be set to a schedule, they will make it appear like your home is occupied even when you are away. No longer will you be coming home after dark to a house with all the window coverings still in their open position. Nor do you have to leave all of your window coverings drawn shut when you are away on vacation. The timers and programs that work with motorized systems will open and close your window coverings as if you were home doing it yourself. This will make your home look like there is someone there, deterring any unwanted attention. While motorization advancements have come a long way, we would highly advise seeking out professional assistance when it comes to installing motorized window treatments. Your Gotcha Covered design expert can guide you through the wide range of styles and treatment options that are available. Let us take the guesswork out of the equation. Our design experts are also highly skilled at combining the functional needs of your home and lifestyle with your own personal tastes in style and decor. By assessing the needs of your space, they can help focus your attention to the right treatment options. Then they can assist in bringing various design elements to your treatments to add the right amount of style and flair to complement your decor. Once the functionality and decor are established, your Gotcha Covered design expert will also be able to make sure you have the right connected home system to work with your lifestyle. Your home system should fit seamlessly into your day to day life. They will take the time to make sure the installation is complete, the programs are set, and then they will show you how to use your connected home system. We pride ourselves on working with only the very best in the business. Our professional installers are precise, prompt, and professional. We do our due diligence to insure that all installations happen in a timely manner and at the convenience of the homeowner. Our experts make sure that everything is installed and operating properly so that the homeowner can sit back and watch the transformation take place. When it comes to learning how to use your motorized window treatments, it pays to have a professional to walk you through it step by step. Not only will they show you the basics, but they can also show you all the nifty tips and unique features available. In most cases, your connected home system can be connected to Google Home, Alexa, or even your smartphone. Some home systems are not just connected to your window treatments, but will also connect to your lights, thermostats, fans, dimmers, timers, and more. Your Gotcha Covered design expert will be able to help you setup these programs to work together on one device. Use your Gotcha Covered design expert to help you get all your devices connected the way you want. And ask them to show you how to program your system to setup automatic schedules based on date, times, seasons, window locations, and more. They will be happy to make suggestions and help you maximize the potential of your new connected home system. The real question everyone is asking is “How can I afford motorized window treatments?” With the range of options available and the advancements in technology, the cost of motorized window treatments is becoming more affordable than ever before. Taking a look a some of the trends in motorized window treatments from CE Pro we can see the popularity of motorization was definitely on the rise even back in 2015. Combine that with the rising interest in interconnected home systems like Alexa, Echo, and Google Home, we can see that this desire to have a connected “smart” home is increasing. No longer is having a “smart” home only for the rich and famous, but now there are affordable options for a variety of budgets. There is a vast range of options in window treatments that will determine the cost. From motorized blinds to shades to draperies and curtains, these styles are all available as motorized options that will fall in different areas of the pricing model. The material of each treatment will also determine the final price. Now that there are more operating systems available, it is more affordable than ever to get a connected home system that will work with some of the devices you already own. Some of the most popular options work with a smartphone. The Gotcha Covered Connected Home Solution works with a free app that can be downloaded to a smartphone or tablet. As motorization popularity continues to rise, more programs will become available at even more affordable rates. Motorized window treatments are a wonderful addition to any home. There is a wide range of styles and programs to choose from to fit the specific needs of your home. Cost will vary greatly based upon a number of factors. Talking with a Gotcha Covered design expert will ensure you are getting the right style of motorized window treatments to fit your needs and your budget. If you are looking to add motorized window treatments to your home, be sure to reach out to us at (888) 650-6187 or schedule a free design consultation!